UK Election Result 2017: What Does A Hung Parliament Imply? UK general election results 2017 has pointed towards a hung parliament with no party reaching the majority mark of 326 seats. UK general election results 2017 has pointed towards a hung parliament with no party reaching the majority mark of 326 seats. As predicted by exit polls earlier today, Prime Minister Theresa May's Conservative Party failed to win a majority in the poll. 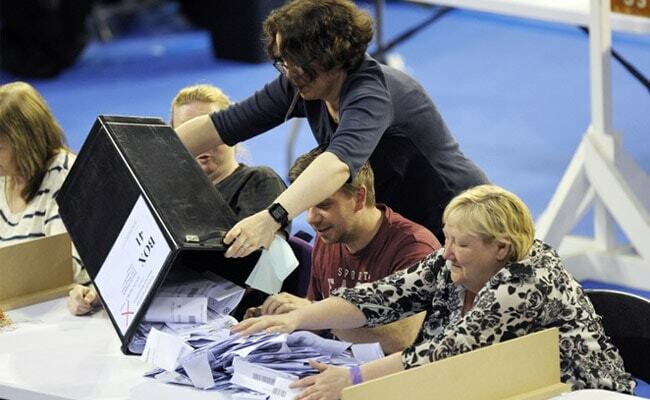 It won 318 seats, followed by Labour Party which won 261 seats, Scottish National Party 35 seats, Liberal Democrats 12 seats and Democratic Unionist Party 10 seats. The results of this UK general election will also decide which political party or alliance will get to negotiate the terms of Brexit with the European Union. But, what exactly is a hung parliament and how does it affect UK? A Hung Parliament in UK Elections 2017. So What Happens Now? What happens if Theresa May-led Conservative Party cannot form a coalition government? If Theresa May- led Conservative Party is unable to form a government, but Jeremy Corbyn-led Labour Party manages to form a government, then May will be expected to resign. Corbyn could become the UK prime minister in that scenario.